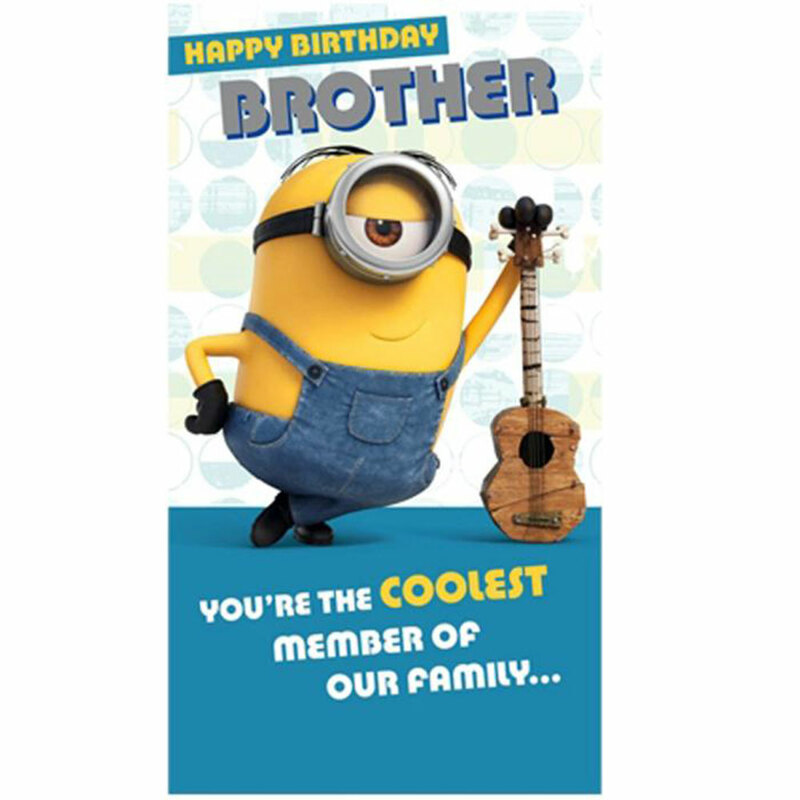 Brother Minions Birthday Card | Minion Shop. The message on the cover of this birthday card reads "Happy Birthday Brother You're The Coolest member of our family..."and the inside message reads" …after me of course! Have a great day."